You know that you have a great idea for a book. It’s bound to be a bestseller—everyone you know, or don’t know, will pick it up and buy it. You’ll be interviewed on TV, autographing hundreds of copies at your book launch, and giving a book talk to an audience numbering in the thousands at a seminar. So how do you get from daydreaming to becoming a published author? Can you publish a book on your own? The simple answer to this question is “Yes”, but there are other options to help you get there, and each option comes with its pros and cons. 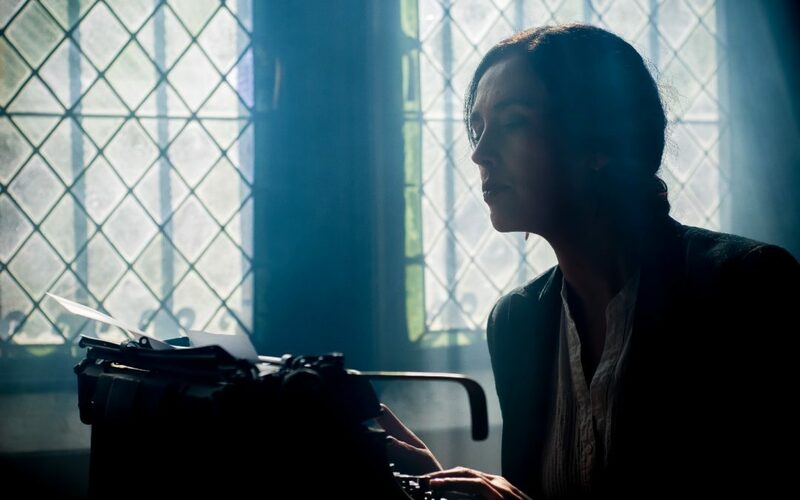 These are just two of the endless questions aspiring authors have before their first manuscript is published. We will address some of these common questions to help you understand what it takes to make your dream come true, and what to do once your book is out there. How do I know people will want to read my book? After all, just because you think it’s a great idea, doesn’t necessarily mean other people will think so too. You’d be surprised how few writers actually do this, but one way to know for sure is through market research. Research can done through both online and offline channels. Check out book ratings and reviews on the world largest online bookstore, Amazon.com, and see what people like and don’t like about books written on your same topic. A visit to your local bookstore or library will also give you some insights into the titles that will be competing for readers’ attention on the shelf. Another way is to get feedback from people who know on who might want to read your book. These people include your target readers and your publisher, if you have one. Then, you can write and market your book accordingly. Should I self-publish? That’s not as “cool” as traditional publishing, is it? However, the advancement of technology and social media has democratised publishing. The growth of self-publishing is fuelled by both print-on-demand and e-books. This is evident with many author wannabes jumping on the bandwagon in the past decade to publish and promote their own books. A word of caution before you think you will be in la-la land. Although there are some self-published books that are of rather high quality, a large majority of self-published books does not even come near to professional standards. One of the key reasons is that while you may be the content expert, the ability to curate, structure, and present the content to appeal to your target readers requires professional input and guidance. The reality remains that self-publishing is not for everyone. Self-publishing, unlike traditional publishing, requires you to be on top of the process. Before attempting to do-it-yourself, you need to be aware that the process of publishing a book demands a lot of expertise, time and effort. This presents a huge opportunity cost to many people whose time is better invested on what they do best, that is, content development. In fact, a low quality book will cause more damage to the credibility of the author than intended. This is not to mention that in addition, bookstores tend to shy away from selling self-published books too. If you do not like the idea of surrendering your intellectual property to a traditional publisher, or find that you lack the expertise and time to self-publish a high quality book, you can consider partnership publishing. This hybrid model gives you all the support of a traditional publisher, while giving you the control and flexibility of self-publishing without the need to surrender your rights to the publisher. Partnership publishing is not the same as publishing service providers who provide a spectrum of publishing services to help you self-publish your book. The latter will simply produce a book based on your manuscript without the rigour of a partnership publisher in reviewing and curating your work before publication. There’s no single, straightforward answer like one year, or even two as every book is different. The only thing you can be sure of is that the process should not be rushed. Other than time for planning, researching and writing, investing the time to work with your publisher in the various stages from reviewing, editing, designing and layout and proofreading, is essential to producing a quality book you can be proud of. Wouldn’t you rather have a good quality book that carries your personal branding further, even if it might take slightly longer, as opposed to getting your book out as quickly as possible, but having it riddled with costly mistakes that you’ll have to rectify? How much do I have to spend to publish my book? Again, there is no magic number as it really varies depending on the specifications of the book. What’s more important is to set aside a reasonable budget that is necessary to meet your goal of getting your book published. As with almost anything in life, what you put into publishing your book is what you get out of it. Simply put, going with the cheapest choices in cover design, book design and layout, for instance, is not always the wisest choice. To do justice to the amount of time and effort you spend on writing your book, spending a little extra to ensure quality could very well be worth it. Many authors who opt for self-publishing often fall into the trap of being penny wise but pound foolish when they realise that the book they are holding in their hands does not match their initial expectation. If I do not publish my book with a traditional publisher initially, does that lessen my chances of ever working with a traditional publisher? Not necessarily, as long as you retain the rights to your work. It has happened quite often that a book that was already published was re-released later on by a traditional publisher. There’s nothing wrong with wanting to publish with a traditional publisher—just don’t let that dream keep you from considering other publishing options for getting your book out there. Planning. As with any endeavour, plan to fail if you fail to plan. In this first stage, you need to be clear on essentials like why do you wish to get published, who are you writing for, what should you write about, etc. Penning. Before you even embark on writing the first word, you need to consider about content creation strategies that can help you in developing the manuscript. You should also establish a book structure and chapter template that will hold your content together and make sense to your readers. Preparing. There are key ingredients that can make or break a book. This is the stage to start preparing for book cover design, front matter, back matter, and also the invitation of key stakeholders. Producing. There are different publishing options in the market and it is important to identify one that will work best for you. This decision is dependent on many factors like your level of experience in publishing, availability of time, financial resources, etc. If you are required to fund your book project, you should also think about different avenues to raise funds. Promoting. Even authors with a book deal can’t just leave it to their traditional publishers—they, too have to worry about promoting their book themselves. The book reviews, book signing and book talks don’t happen all by their lonesome; they need you to make them happen. At this stage, coming up with a book promotion plan for pre-launch, launch, and post-launch phases are critical. Publicity. A book is an excellent tool to help the author generate publicity for personal branding. More often than not, creating more awareness in the marketplace will increase the demand for the author’s higher value offerings like talks, workshops, consulting, etc. For a better appreciation of the 6P Framework of PublishingTM and how you can utilise it to develop your personal blueprint to publishing success, you can attend the 2-days hands-on “So You Want To Be An Author?” workshop. In conclusion, publishing your book without a traditional publisher doesn’t mean having to go it alone. With its extensive suite of professional publishing services, Candid Creation Publishing works right alongside you on your publishing journey to publish a book you can be proud of. Speak to Singapore’s preferred Partnership Publisher today to get one step closer to making your book idea a reality.